1 Why Do I Use Contact Form? 1.1 How to Add Simple Contact Widget to Blogger? 1.1.1 How to Add Contact Us Form to WordPress? 1.1.1.1 How to Add Custom Contact Form to Blogger? 1.1.1.1.1 How to Add Custom Contact Form to your Blogger Page? A contact us form or contact us page is a must-have widget for every professional blogger and website owners. 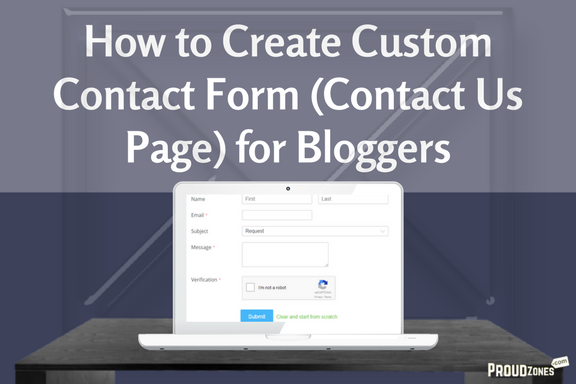 A contact form allows you to engage and interact with your customer or readers more quickly. Adding a contact form to your blog is really easy and simple. There are many websites that offer custom contact us form generator tool for bloggers. All you have to do is, visit their website, customize & generate the HTML code of the form and paste it to your site and you’re done! Why Do I Use Contact Form? The contact form allows your website or blog visitors to easily contact you by entering their email address, name and the message they want to convey. 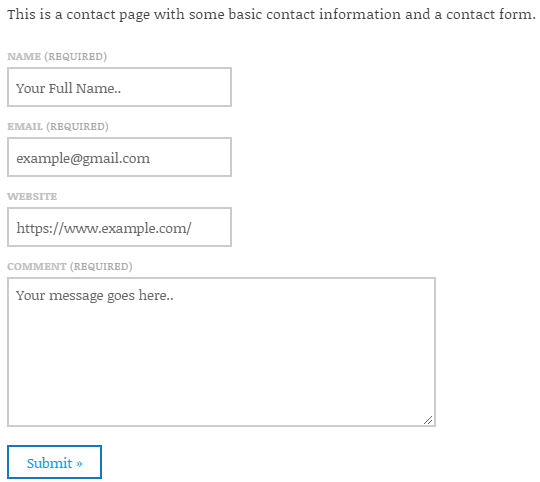 These contact form will help your users in many ways. They can easily clear all of their doubts. They can easily contact you for any business purpose. Having a contact form increases their trust. This process can save lots of time for you & your visitors. It helps to increase engagement between you and your readers. Show your professionalism and make your site user-friendly. These are some of the reasons for having a beautifully designed contact form on your site. How to Add Simple Contact Widget to Blogger? 1. Go to Layout page on your blogger dashboard and Click on add a gadget. 2. Now go to more gadgets and add the contact form. 3. Add a title and click save. How to Add Contact Us Form to WordPress? Note: If you are using the free version of WordPress.com site, you cannot install other plugins to your site. To add a plugin you need to upgrade your plan. In WordPress, you will get free contact form with Jetpack plugin, but if you don’t like that old classic form, you can easily replace it with a beautifully designed contact form. 1. Visit your WordPress dashboard & click on Plugins, and search for WP forms. 2. Open the form plugin, click install and activate it & you’re done! Now customize your form & add it to your pages to let others see your contact form. How to Add Custom Contact Form to Blogger? 1. Visit 123 contact form and sign up with their basic free plan using your Gmail account ( you can also sign up via your Facebook account). 2. After verifying your email ID, go to My forms page and click on Create your first form. 3. Now in the new form page, tap on contact & lead form and customize your form using their drag & drop feature. 5. Visit the blogger dashboard and click on the Layout page. 7. Add a title, paste the copied code & click save. If you don’t how to add HTML codes to blogger widget, read my below post. How to Add Custom Contact Form to your Blogger Page? 1. Copy the above contact form code and visit your blogger dashboard. 2. Click pages & tap on add new page. 3. Add a title (Contact me or us) and click on HTML mode & paste the copied codes, click publish. By performing the above steps, you can easily add Custom Contact us form to your blog. Having a simple contact form on your blog will help you provide a better user experience to your visitors to easily let them contact you from your blog. Like this tutorial? Share it with your friends & family members.